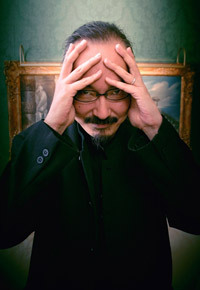 Satoshi KON was born on October 12th 1963, in Kushiro, on Hokkaido island. He began his career as mangaka, more particularly on Akira, as an assistant to Katsuhiro Otomo. A relationship was developed between the two men, who then took to work repeatedly together. This was the case on the World Apartment Horror live movie for whose script and manga adaptation KON was responsible, or on Magnetic Rose, the first segment of the Memories omnibus, made along with Koji Morimoto. His career path switches to animation in 1997, when he made himself known as a director with Perfect Blue; a film which was a revelation for many people when it was released, even in France, at a time when Japanese animation was scarce in theaters. Then came the films Millennium Actress, Tokyo Godfathers and Paprika, as well as the TV series Paranoia Agent. All of those works displayed perfectionism in image aesthetics and directing, and a great sense of humanity. In 2003 he gave a conference talk in Paris which was also a rare moment of sharing with the French public. 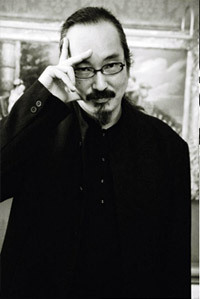 On august 24, 2010, Satoshi Kon passed away, at 46 years old. A loss that must be as painful to his family as it was sudden to his fans. He had been suffering from pancreas cancer and had chosen not to talk about his illness in public as he kept working on his last film Yume-miru Kikai, which the studio Madhouse intends to finish one day. Through this exhibition, Japan Expo and Catsuka wish to pay a tribute to Satoshi Kon, letting French artists express through their art all the affection they felt for the master.